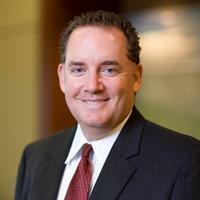 Tim DuVall is a partner in Katz, Sapper & Miller’s Business Advisory Group. He is also partner-in-charge of the firm’s Technology Industry Services Group and Life Sciences Services Group as well as a member of the Financial Services Group. As a key management advisor to his clients, Tim provides business, tax, and accounting consulting services to a wide variety of industries. These services have included cash management, financing, forecasts and projections, tax strategies and planning, business structuring, business valuations, and mergers and acquisitions. Tim spent two years with a national technology and consulting firm as chief financial officer, overseeing private equity investment, mergers of newly acquired companies, and integration of financial and business systems. Tim received a Bachelor of Science degree in accounting from Manchester College. Tim is a member of the American Institute of CPAs and the Indiana CPA Society. He is a past president of the Westfield Lions Club and Jameson Camp and previously served on the board of directors of NPower.